"And how can they believe in the one of whom they have not heard? And how can they hear without someone preaching to them?" Bethel is serious about world missions. Many people groups have never heard about Jesus, and some may never get a chance if a missionary is not sent into their community to share God’s Word with them. Bethel is involved in two world mission initiatives. One through the Church of the Lutheran Brethren in Chad and the other through Youth with a Mission in Ensenada, Mexico. Bethel has partnered with Lutheran Brethren International Mission (LBIM) to adopt a people group in Chad, Africa. In January 2009, Bethel adopted a people group in Chad, Africa. The people group has been Muslim for the past 500 years. They are an "unreached people," meaning they have no church among them through which the Gospel can be shared in the context of their own culture and language. The only way they will hear about Jesus is if someone enters their world and shares it with them. Bethel’s goal is to see a church planted among this people group. Our missionaries decided, along with their Chadian missionary partners, that a school would benefit the community, as well as create new opportunities for ministry. 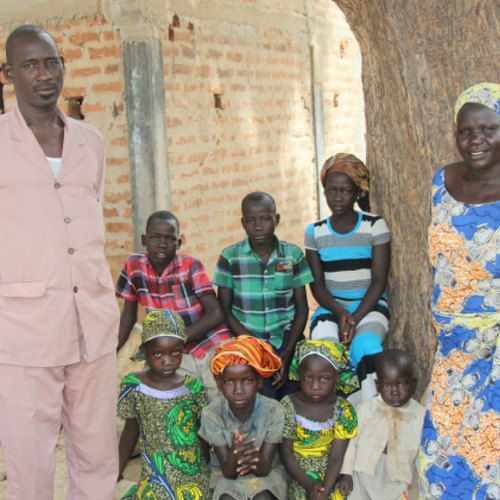 A Chadian teacher has moved to the village with his family to serve as the director and primary teacher. The school opened in the fall of 2018 with a waiting list! More funds are needed to call another teacher, a building, a home for the director, and more. Thank you for your prayers! Nathanael and Carrie were missionaries in 2012. 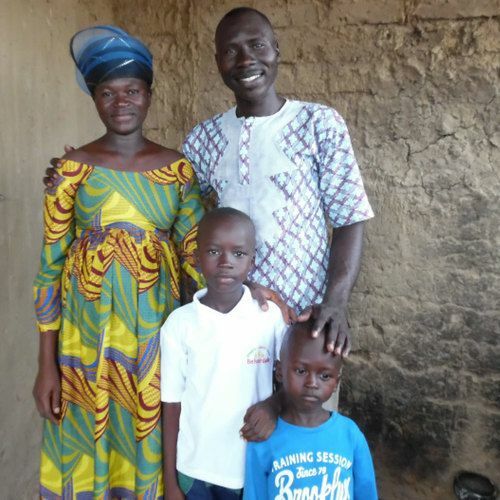 Pray for God’s protective hedge to surround Nathanael, Carrie, and their children (Selma, Cyril, Adelynn & Talitha) as they minister to the Bagirmi. Kay is our newest missionary to Chad, called in 2016. 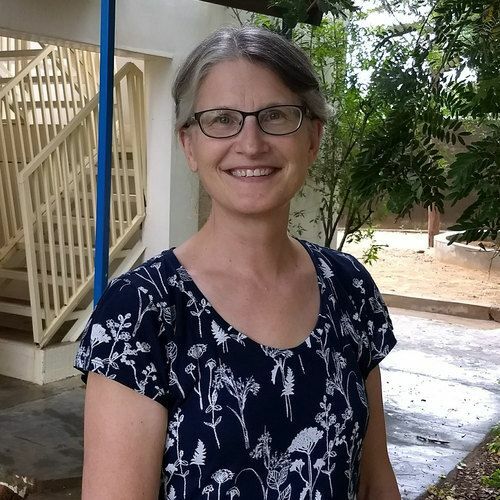 Over the coming year, while she learns Chadian Arabic, Kay will be prayerfully considering her next move into a permanent ministry location, most likely ministering to women. A & T were called by the Chadian Lutheran Brethren Church to serve as missionaries in the same village as Nathanael & Carrie. 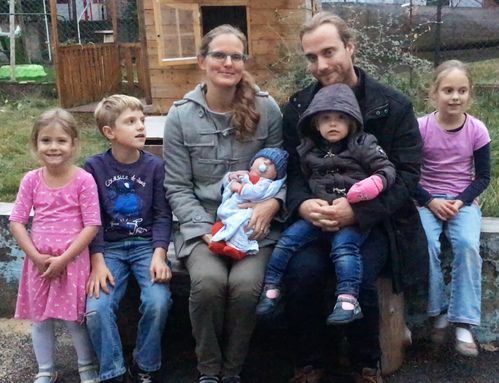 A & T moved to the village in April 2018, along with their seven children. T, a very experienced school teacher, will serve as the director and primary teacher of the local private school. The family moved to the village in October 2018. T and his wife have three sons. For the last twelve years, Bethel has been sending teams to build homes for those in need through Homes of Hope by Youth With A Mission (YWAM). Bethel and several local Ensenada churches have developed a meaningful partnership. This partnership is a two-way relationship, positively influencing both sides. For the last ten years, Bethel has been sending teams to build a homes for those in need with the Homes of Hope program through Youth With A Mission (YWAM). As Bethel continued to take mission trips to Ensenada, relationships with local ministries developed. Bethel realized that while we are only there for a week, the local churches stay and continue the long-term ministry. How can Bethel support and encourage them in their ministry? Bethel and several local Ensenada churches have developed a meaningful partnership. The plan is to continue building these relationships alongside future Homes of Hope house builds, while looking for opportunities to partner with these churches in ministry, to witness God at work, and to learn from them. This partnership is a two-way relationship, positively influencing both sides. Meet some of the pastors. Interested in the next mission trip? Fill out this form if you're interested in the next Homes of Hope Mission Trip to Ensenada, Mexico.